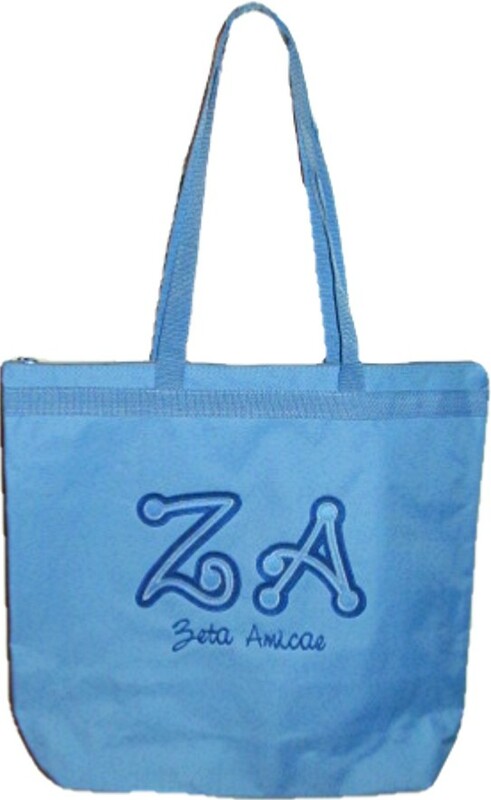 This beautiful polyester zipper totebag has whimsical dot letters stitched on and "Zeta Amicae" embroidered underneath. This bag measures 18" wide, 16" long, and 6" deep. Perfect for new members - stuff it with gifts for her!